The U.S. Department of Agriculture (USDA) recently released the Quarterly Hogs and Pigs Report, showing signs of slower growth in herd expansion. Farrowing intentions for the current quarter and upcoming summer quarter are less than what experts previously expected, USDA Livestock Analyst Shayle Shagam said. Intentions are up only one percent from the quarter a year ago, but decreased two percent during June to August. “If you look at producer returns, they have been very weak to negative for most of the past year,” Shagam said. That type of financial pressure typically leads to growth and expansion rates slowing. 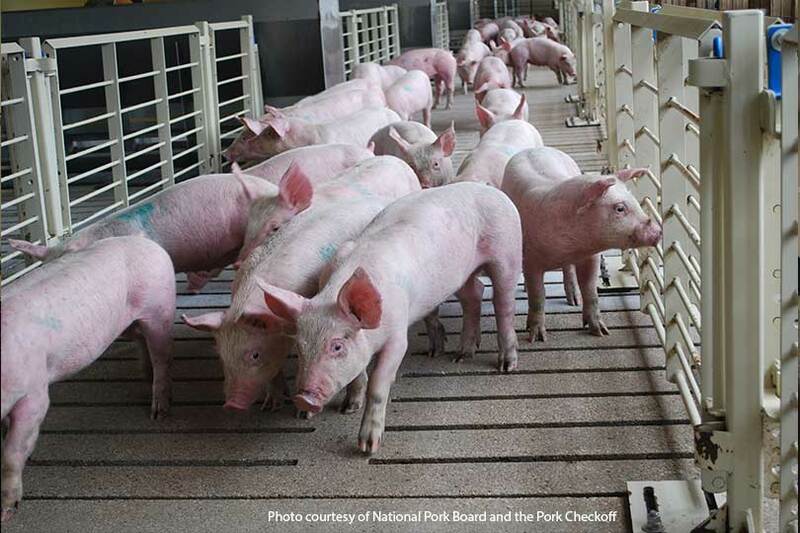 While pork farmers have reined production in a bit over the past year, inventory numbers are still large, Shagam said. March 1 hog numbers rose two percent to just under 74.3 million head, the highest on that date in 31 years. Breeding inventory and market hog numbers both increased two percent over the last year, as well. Farmers kept back 6.3 million hogs for breeding purposes, while market hogs finished at 67.9 million. Pigs saved per litter also rose to near record numbers, finishing at 10.7 for the winter quarter. That is the highest mark in nearly 50 years. Farmers farrowed 3.84 million head from December to February, up two percent from the same quarter a year ago.